Our February 2014 OCSC Event: Planes of Fame guided tour at the Chino Airport. 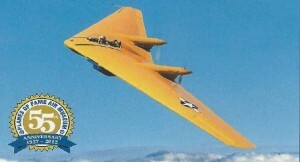 Join the club for breakfast and a guided tour of the Planes of Fame Museum located at the Chino Airport in Chino, CA. The museum hosts over 150 amazing aircraft, including a 1940s Northrop N9MB flying wing, the sole surviving example of this plane. At Chino Airport, 7000 Merrill Ave., Chino CA. OVER 150 AIRCRAFT ON DISPLAY!! Breakfast 9:30am @ Flo’s, Guided Museum Tour @ 11:00 am sharp! DIRECTIONS: Take Euclid Drive South from the Pomona (60) Fwy., then turn left on Merrill Ave.
See the the events column to the right for additional location details.